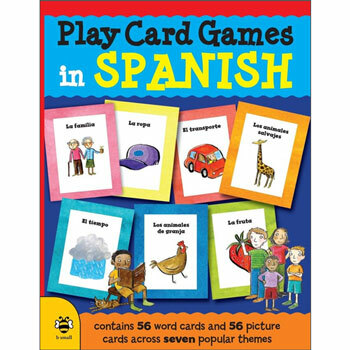 Play Card Games in Spanish is packed full of activities to help beginners learn Spanish at home or at school. 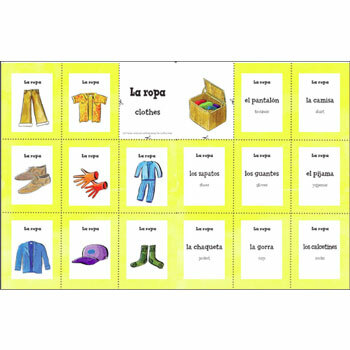 It contains over 100 cards to cut out and keep, with essential Spanish vocabulary, handy pronunciation guides plus lots of ideas for additional ways to use the cards. The activities are tried and tested by a teacher and tutor. Magic tricks and competitive card games are fun in any language. The activities in this book are a way of encouraging children to feel comfortable speaking Spanish. With plenty of opportunities to learn useful phrases, the words on the cards are just the beginning. Play Card Games in Spanish is aimed at Spanish beginners, from 6 - 10 years (Key Stage 1 and Key Stage 2). 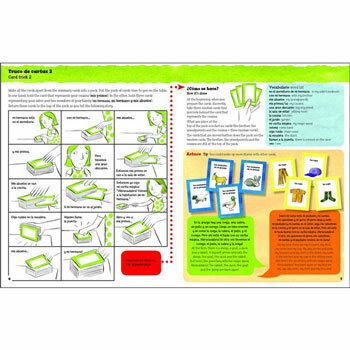 The included pronunciation guides will help parents and teachers with no previous knowledge of Spanish to support children using this resource. It is published in the UK and uses Castilian (European) Spanish.